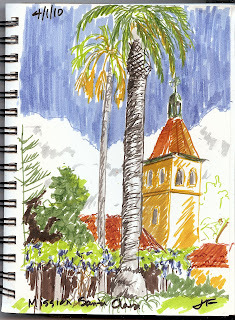 Janice H2O Color: P is for "Plein Air"
Today I went to Mission Santa Clara on the campus of SC University with the Santa Clara Valley Watercolor Society's weekly plein air group. There were only 4 of us, likely due to the cold morning-it only went up to the upper 50s-maybe 60 by noon. Quite frigid by Bay Area standards! I ordered a couple of sets of Pitt Pens from Jerry's and they arrived last night. I bought the Terra, Landscape, and Grayscale sets. I took them out today for the first time and feel pretty good about my initial effort. 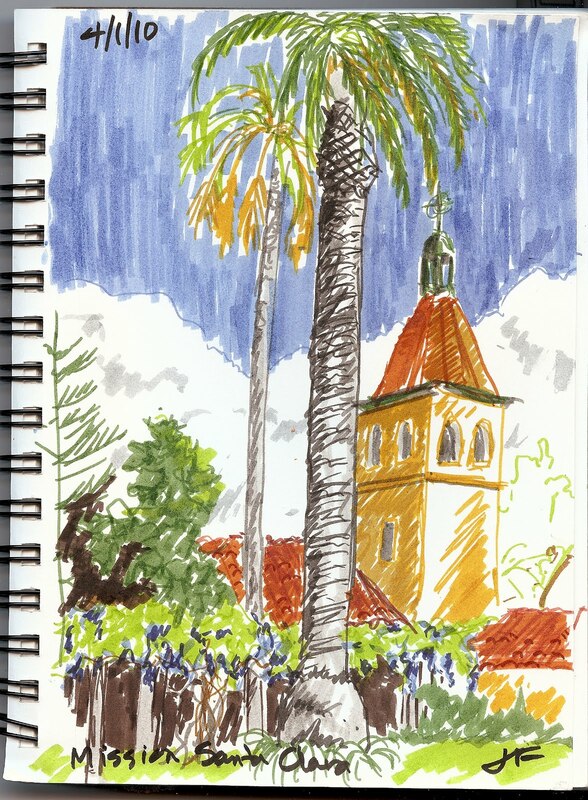 I used no pencil at all-just began to draw in a small 5 1/2" x 8 1/2" sketchbook. There's no purple or violet in the sets I got, so the wisteria (which is just beautiful) is blue, instead! 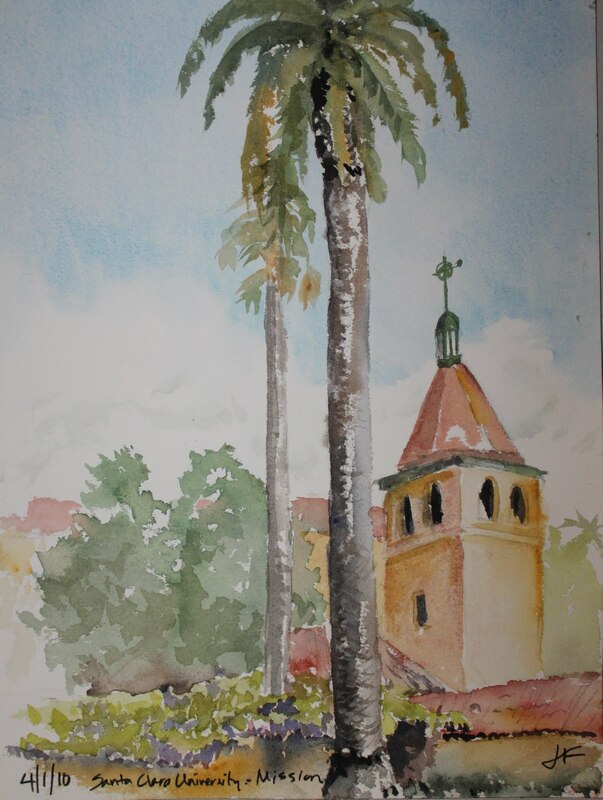 Afterward, I did a watercolor of the same scene. i kept it loose, but probably could have spent another half hour or so on it-I just got too cold! It's 12" x 16"
The Pitt Pens look like something I could use instead of my 32 pack of colored pencils. Probably the quality of my work does not warrent the price of the Pitt Pens however. I like the both of em.